Alfred Lichtwark studied art history in Berlin under Hermann Grimm. He became the first director of the Hamburger Kunsthalle in 1886, a position he held until his death. For the Kunsthalle, Lichtwark collected both old art and works from his own time by painters like Bonnard, Corinth, C.D. Friedrich and Menzel. He was very fond of French impressionism, but also paid attention to artists from Hamburg. 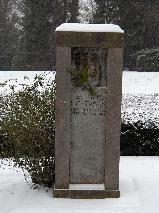 Lichtwark was a personal friend of Max Liebermann and Hans Olde. Apart from his work for the Kunsthalle he was also active as a pedagogical reformer (he developed a method of teaching). Since 1951 the Alfred Lichtwark-Preis is awarded every four years by Hamburg. 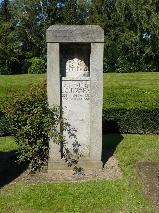 The grave of Alfred Lichtwark at the Ohlsdorfer Friedhof in Hamburg.